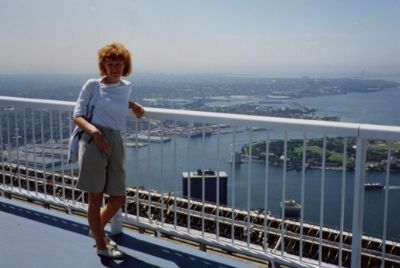 This is me mum, pictured here up the World Trade Centre in New York in the 1980s. 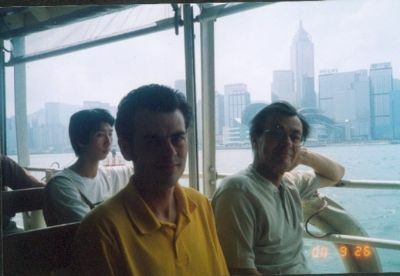 Dad and I on a ferry in Hong Kong in September 2000! 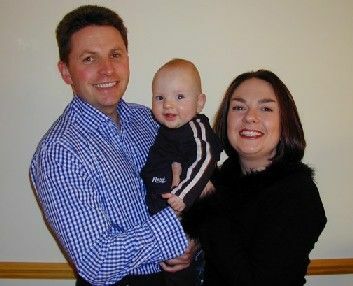 The Larke Family all dressed up for a wedding! 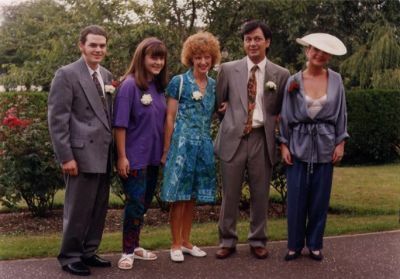 Me, Liz, Mum, Dad and Kathy (from left to right!) This must have been taken early 1990s! 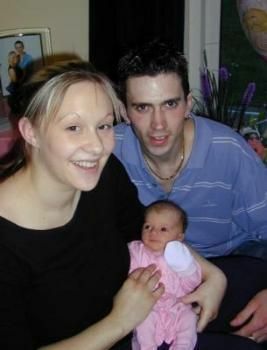 This is my mum's side of the family! My mum is front centre right, my grandpa & grandma are in the middle! 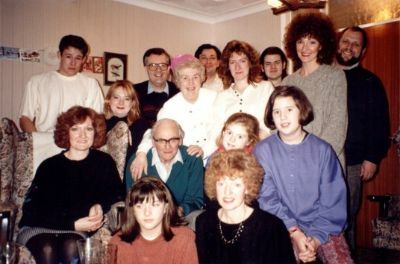 I'm at the back 3rd in, with my auntie Julie with big hair next to me! NEWS: Andrew (Jo's Brother) and Amy are proud to announce the birth of Chloe Ellen on 12th April 2004. 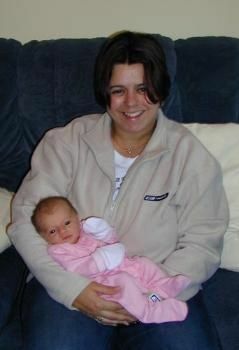 Here's a nice picture of Jo with her tiny neice! 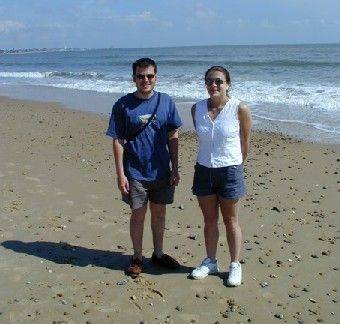 Congratulations to Andrew and Amy, and you can tell Jo is pleased!